The following contains graphic statistics and strong language that may be too intense for some managers. Business leader discretion is advised. We’re afraid it’s even worse than it looks. Weak numbers from the prior two months were revised down by 59k. That’s bad enough, but the private sector numbers came down 69k. The private sector total for September 2015 was only 118k. 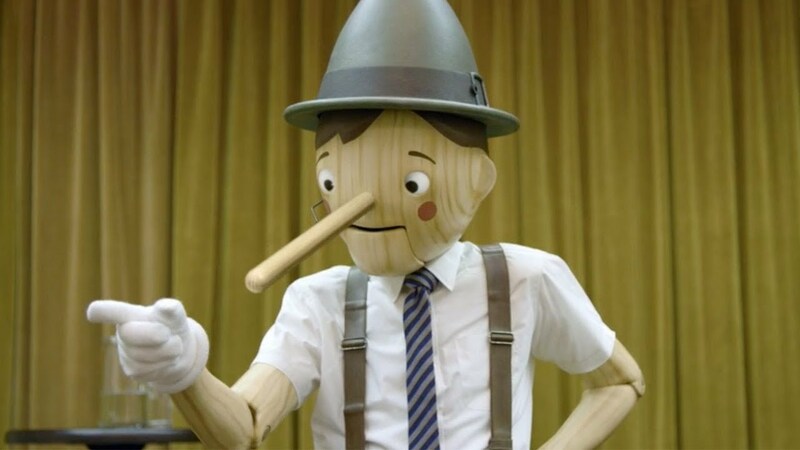 The labor force hemorrhaged another 350k potential workers, and the Not in Labor Force statistic exploded by an unbelievable 579k driving the number of unemployed Americans to more than 94.6M, cratering an already record low participation rate from 62.6 to 62.4! Wages pulled back. The work week got shorter, and the diffusion index for all industries fell to a precarious 52.9 (50+ indicates expansion.) In addition, manufacturing fell spectacularly into contraction over the last 2 months. Full employment? Rate hike? International respect of America? Only in a fairy tale, my friends. 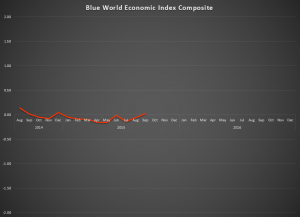 The Blue World Economic Index™ came in at .2 for September, 2015 continuing its meander around zero indicating an economy stuck in the mud just waiting for something to happen. Of the major categories employment and manufacturing are performing the worst. 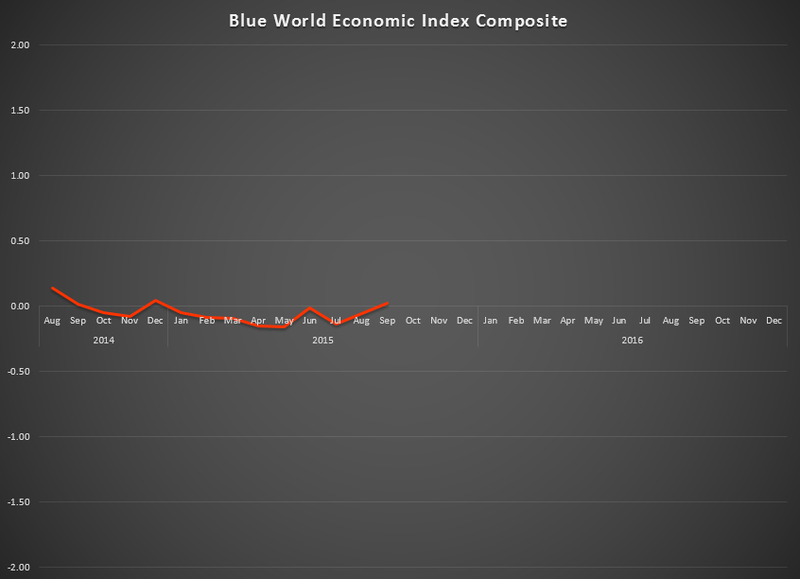 This is in spite of the media hype trumpeting gains in the labor market as a prime driver of strong consumer sentiment.